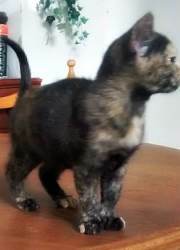 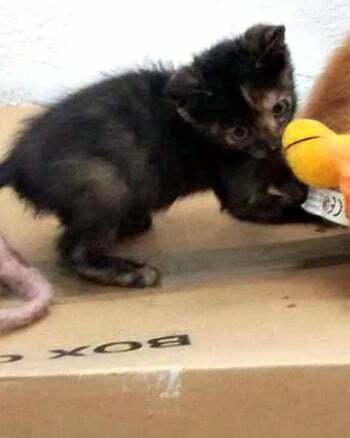 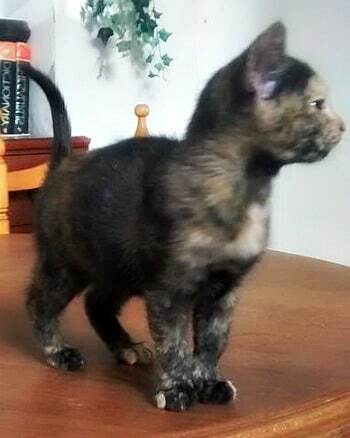 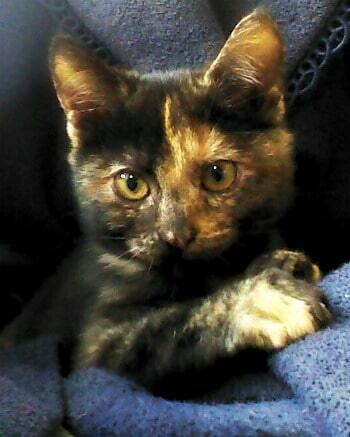 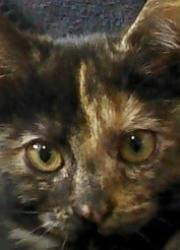 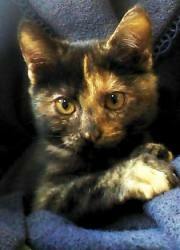 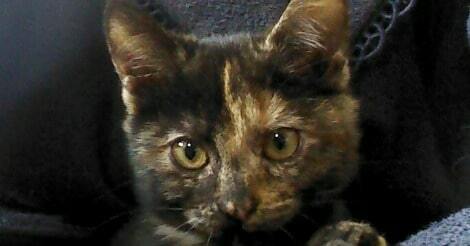 This sweet little tortoise shell kitten is Raya. 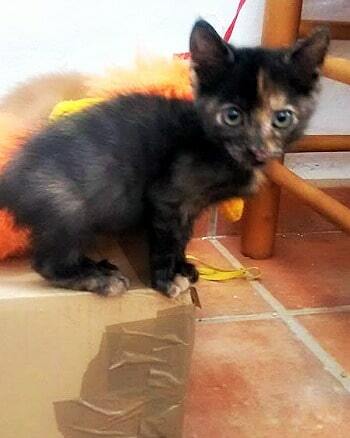 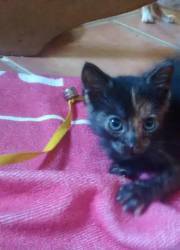 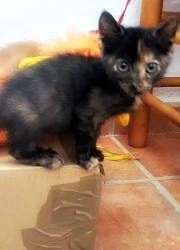 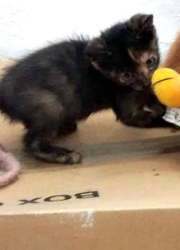 She is a very intelligent little girl, very inquisitive and affectionate. 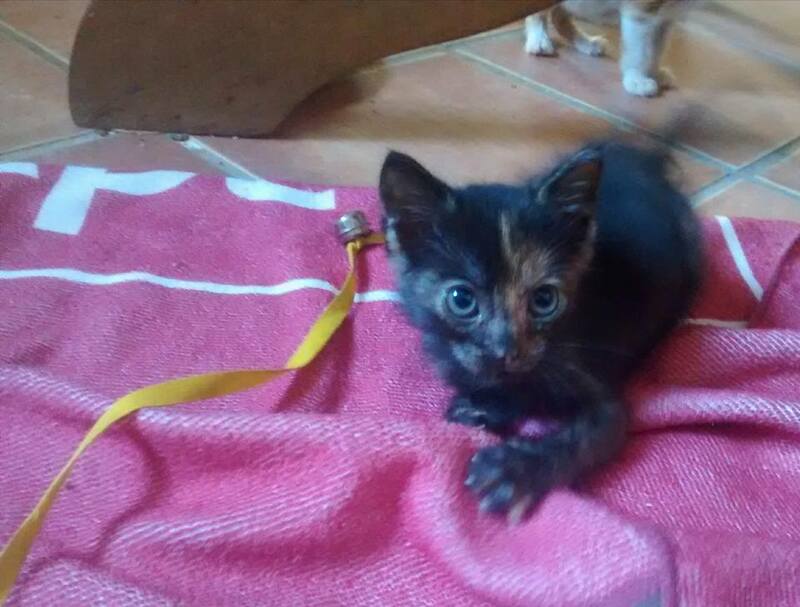 She loves to play string but mostly likes sitting on someone’s lap.